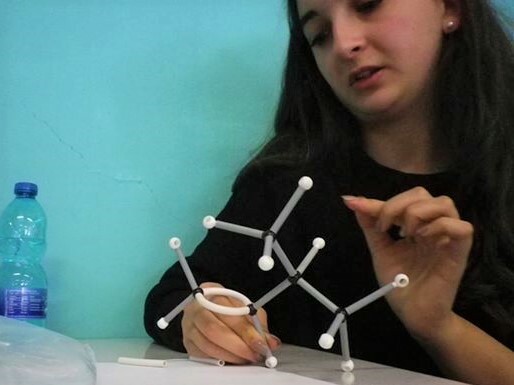 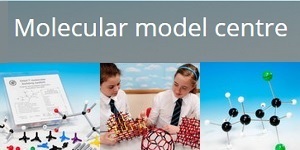 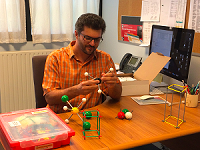 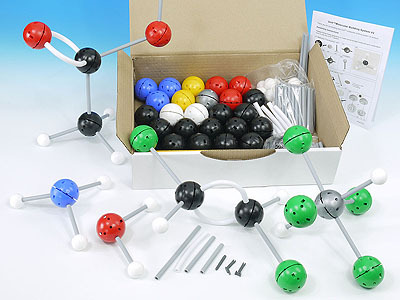 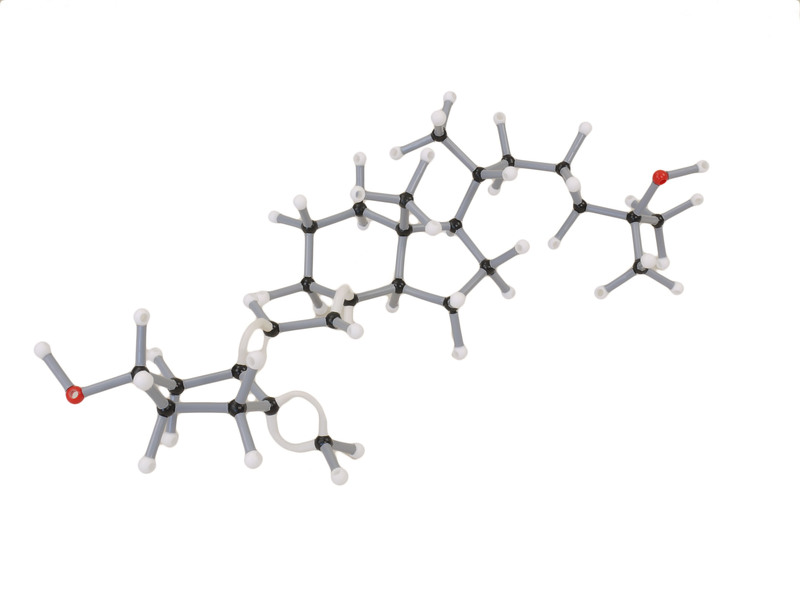 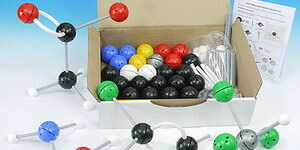 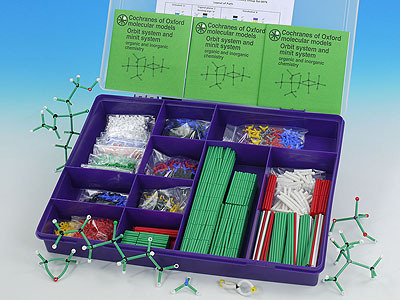 Learn about molecular shape, stereochemisitry, isomerism and bonding in organic and inorganic molecules and complex ions. 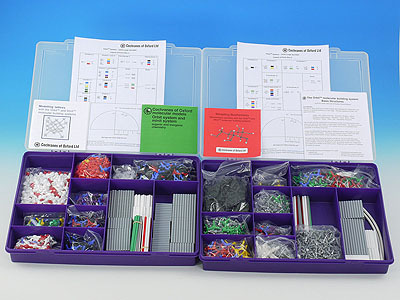 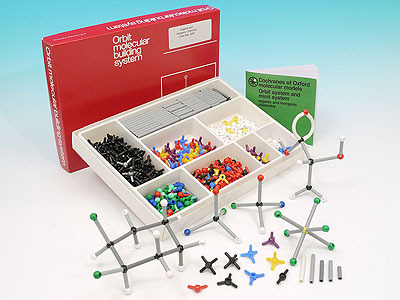 This advanced extensive set is most suitable for Advanced level in schools, universities and research laboratories. 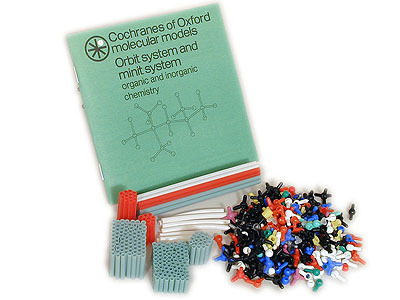 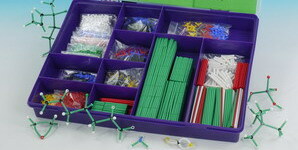 1390 atoms, 1700 bonds, 3 booklets in a sturdy compartmentalised box.